The Sounders on Monday continued their pattern of taking longer-term player projects in the MLS SuperDraft, choosing San Diego State University center back Aleks Berkolds in the third round. They had no fourth round pick, having traded it to Montreal in 2017. In a continued strategy of vying for longer-term projects, the Sounders on Monday selected San Diego State University defender Aleks Berkolds in the third round of the Major League Soccer SuperDraft. Berkolds, 22, a Northridge, Calif., product, was the 68th overall selection and the final one for a Sounders team that didn’t have a fourth-round choice after dealing it to Montreal for Callum Mallace in 2017. The 6-foot-1, 185-pound center back won’t be cracking the Sounders’ back line anytime soon given the trio of veterans the team already has in Chad Marshall, Kim Kee-hee and Roman Torres, plus freshly acquired Jonathan Campbell from the Chicago Fire. But with Marshall entering the season at age 34 and Torres turning 33 a few weeks into the campaign, the Sounders have an eye turned toward greater depth at the position within their system. Berkolds would need a whole lot of professional development to even have a shot at the first team roster down the road, but the Sounders are willing to wait. He played in every minute of San Diego State’s games this past season, tallying 1,650 total as the Aztecs went 7-10-1. The Sounders exercised a similar wait-and-see approach the first two draft rounds, taking Air Force midfielder Tucker Bone with their first selection, 20th overall, knowing he can’t even report to them until May and then needs a special military sports exemption to continue his professional career. Their second-round choice, Swedish midfielder Joel Rydstrand of Creighton University in Nebraska, is viewed as a longshot for the first team roster but the Sounders like his personality and figure he’ll mesh well with others within their system and perhaps provide some intangibles not immediately apparent in the stats sheets. 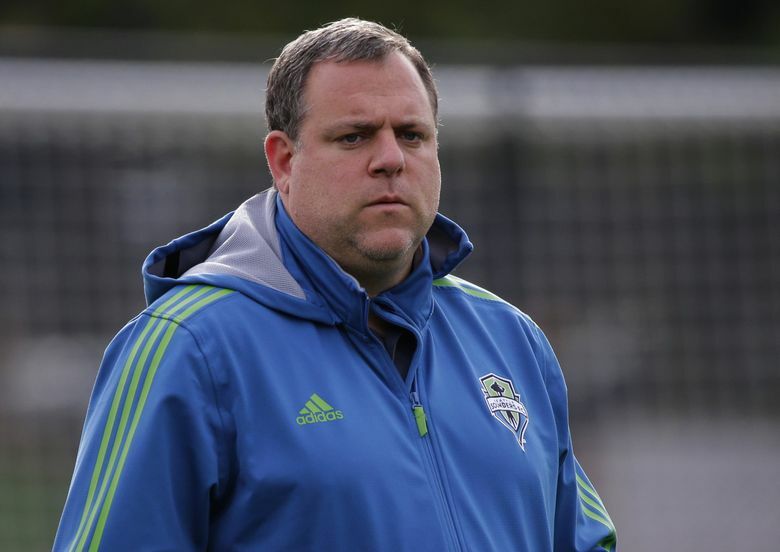 Sounders general manager Garth Lagerwey is on record stating that the draft pool this year is thin on blue-chip talent, meaning the team is selecting players they feel can develop over a longer time period into something more valuable. The Sounders open training camp next week and play their season opener against FC Cincinnati on March 2 at CenturyLink Field. Correction: A previous version of this story said Berkolds attended San Jose State.